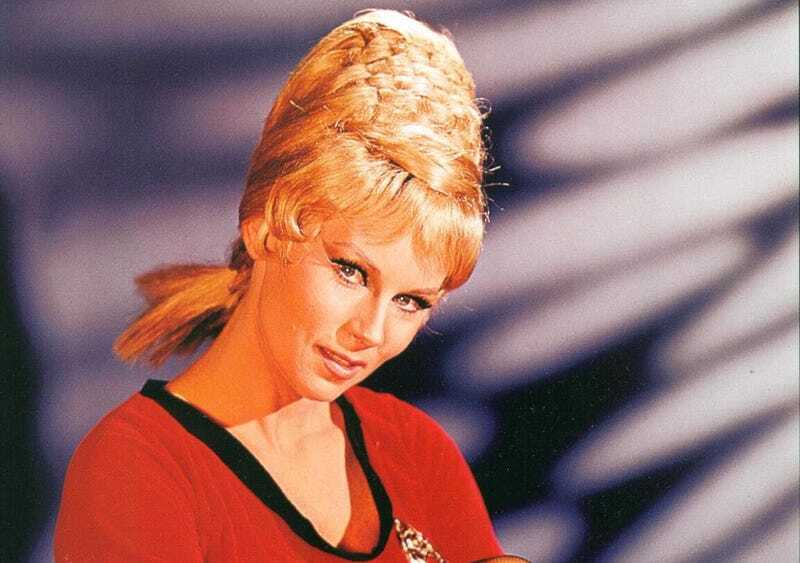 Grace Lee Whitney, instantly recognizable as Yeoman Janice Rand from the original Star Trek, has passed away at the age of 85. Whitney died in her home in Coarsegold, California, her son, Jonathan Dweck, confirmed on Sunday. Despite only appearing in eight episodes of the original series, Whitney officially reprised her role in Star Trek: The Motion Picture, Star Trek III: The Search for Spock, Star Trek IV: The Voyage Home, Star Trek VI: The Undiscovered Country, and Star Trek: Voyager. She reprised the role in the unofficial Star Trek fan projects Star Trek: Of Gods and Men and Star Trek New Voyages: Phase II. “When I told the fans I was an alcoholic, they all applauded. When I told them I had given myself to a higher power, they cheered again,” Ms. Whitney told The Bee’s Rick Bentley in 2013. “I’m in a great place because I’ve gone full circle. Outside of Star Trek, the Ann Arbor, MI. native was in the Broadway musical Top Banana, and appeared in the 1954 movie version of the show. Her TV career included roles on The Life and Legend of Wyatt Earp, The Real McCoys, The Outer Limits, Batman, and Bewitched. She also served as the inspiration for the Chicken of the Sea mermaid.